While browsing the sherline website I stumble upon a page that describes a feature added to the CNC mills in 2010. It’s a series of passages in the saddle and an oil reservoir. This oiler system sends lubricant to the lead screws reducing wear. 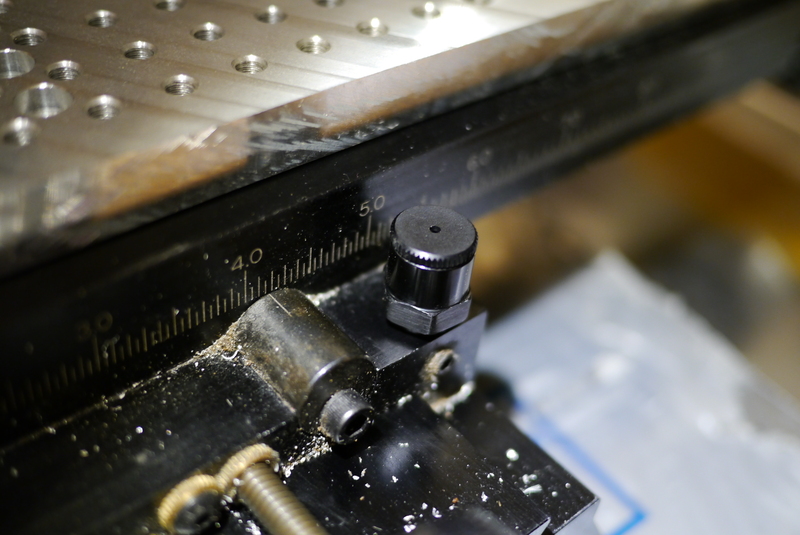 This is very important on a CNC machine as the axis moves much more and much faster than a manual mill ever would. 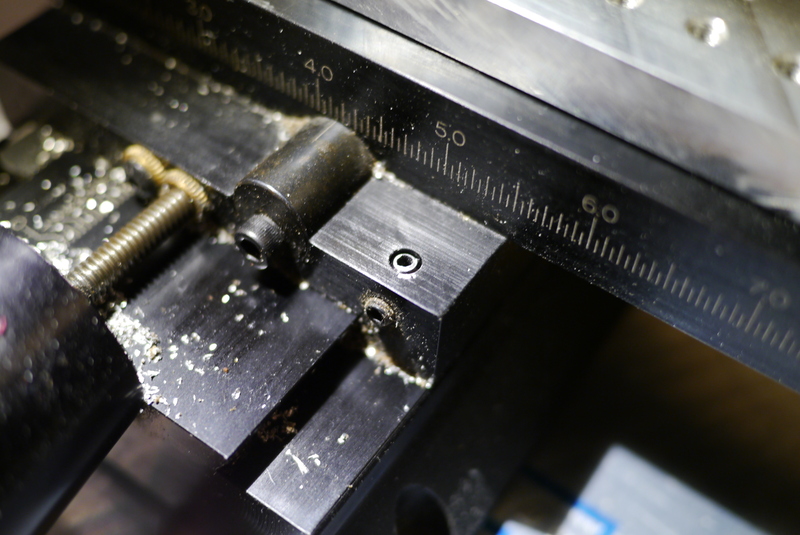 Furthermore, the sherline uses a very simple 1/4-20 UNC threaded rod as the lead screw, which is much higher friction than the ball screw found on most CNC mills. I didn’t see this on my mill when I picked it up, but when I looked closer, what I though was a setscrew was actually the broken off remainder of the oil reservoir. The previous owner must have either over tightened it, or run into it with a mill. I used a screw extractor to remove the broken piece. 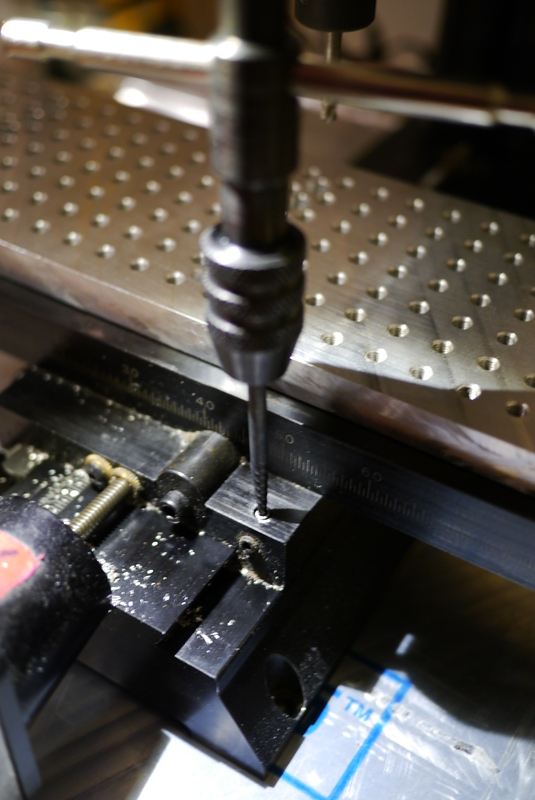 It came out easily, it’s made of aluminum so the tool had no problem getting a good bite. 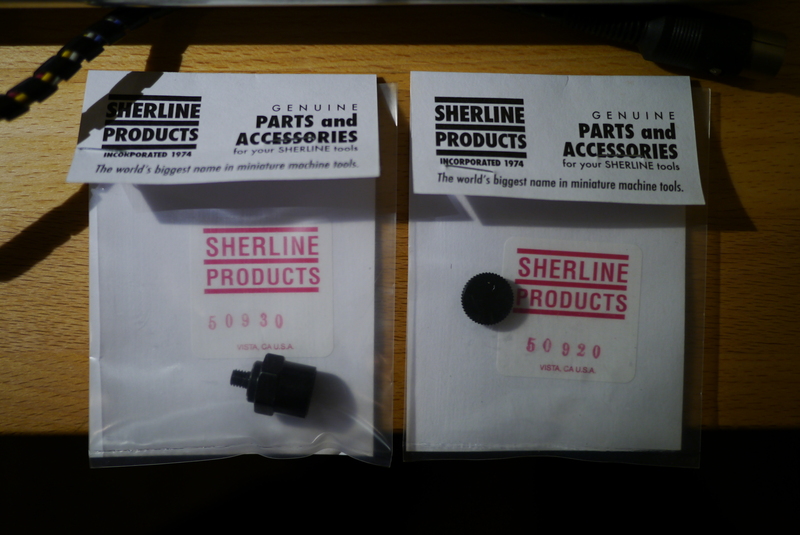 I ordered the replacements through sherline, PN 50930 for the oiler body, and 50920 for the cap. Installation was as easy as screwing in the body. This was one of the easier repairs I’ve ever made, and a really pleasant discovery, as now I know that the mill is at most less than 4 years old.